The history of Depok Lama is considered as one of the most interesting history ever recorded. It all began around late 17th century, when a former VOC merchant originated from the Netherlands, Cornelis Chastelein, purchased lands at Jatinegara, Kampung Melayu, Karanganyar, Penjambon, Mampang and Depok. These are suburbs that surrounds Indonesia’s capital city, Jakarta. He purchased Depok for 700 ringgit and made it his own private land. As the prosperous land he purchased consisted of wide wet rice field, Chastelein decided to recruit workers in order to maintain his land. He successfully recruited approximately around 150 workers from the neighbouring island in Indonesia; Sulawesi, Kalimantan, Bali and Betawi. After this particular event took place, Chastelein had become the landlord of Depok and has also established a government that can’t be touched by outside laws, the Depok government. What makes it interesting is that no one actually knows the exact date it started. Some individual believed that it started at 18th May 1696, while others believed it started at 13th March 1675. 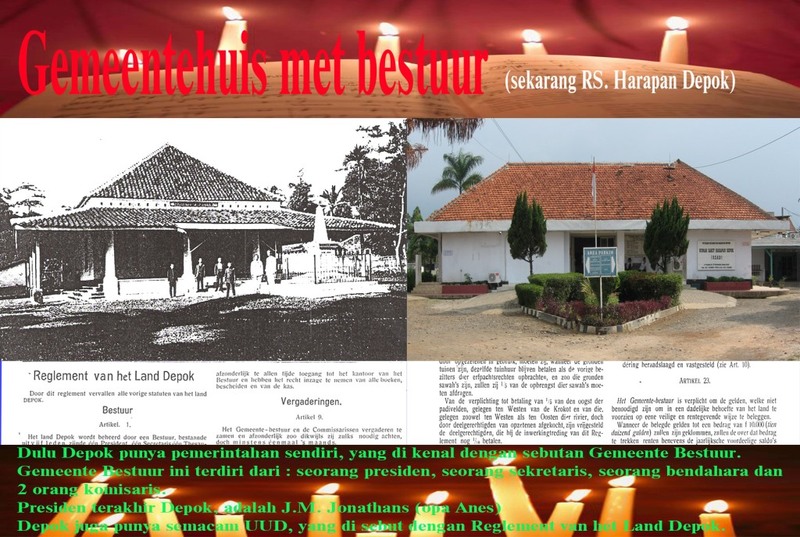 The land under Chastelein’s reign was famously known as Het Gemeente Bestuur van Het Pariculiere Land Depok. The Dutch government in Batavia supposedly approved Chastelein’s action and as a result, appointed him as the first president of Depok. Before Chastelein passed away at the 28th of June 1714, he had prepared a will that stated the freedom of all his workers along with their family. In his testament, he also requested that the workers become Christian. a Dutchman, and had tried to deny the testament in accordance to the Dutch Kingdom Law. also benefit from. Eventually, the right to use the given land had changed and the workers were given the right to own the given land. Things were great for these workers during the Dutch Government period. The workers are able to live comfortably, able to obtain jobs at administration offices and became wealthy farmers as they own 10 hectares of field. in the Indonesian Independence Day. 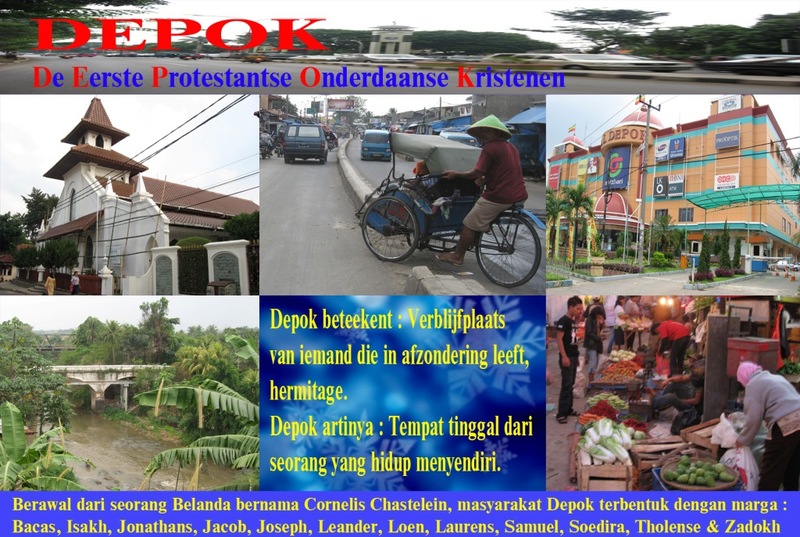 People that lived in the neighbouring city attacked Depok because the Dutch had given the citizen of Depok a suitable lifestyle for over two centuries. The Indonesian government recognized their wrong doing and gave a compensation of Rp. 229,262.26. Since that day, all the private lands became the property of the Indonesian government, except for a few lands and building such as church and schools. peace for the individuals native to Depok Lama. Depok has undergone dramatic changes over the past few years. Having grown rapidly over the past few years, Depok became Administration City in 1982 and Depok keeps growing to become a larger City consisting of multiethnic societies. Although Depok still suffer from the trauma caused by the action of the Indonesian Government during the Independence day, Depok’s young generation inherits the given name by Chastelein, using the name with pride, and has become a diligent Indonesian Citizen, that always partake in the development of the Republic of Indonesia. 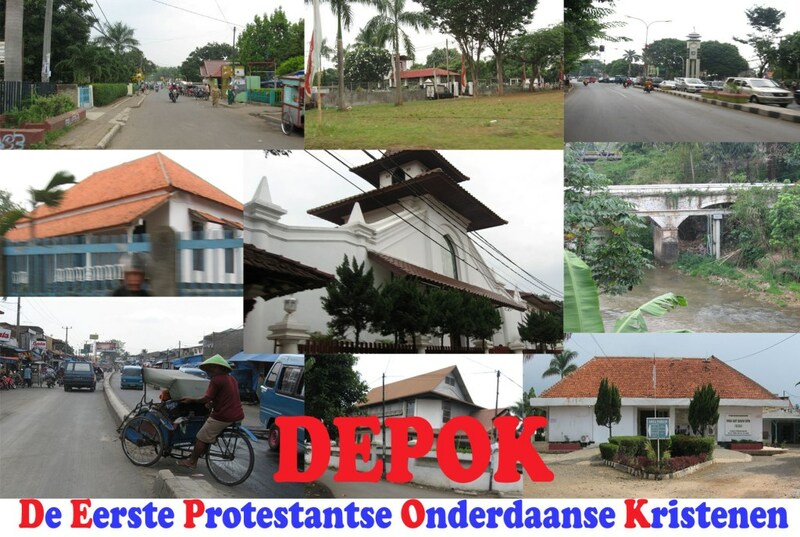 The citizen of Depok also remained to be a Christian, as there are many churches that reside within the city; fulfilling Chastelein’s request.